Michael Jackson: The Immortal World Tour is the official theatrical production by Cirque du Soleil. It will blend Jackson's music and vision with Cirque du Soleil's signature acrobatic performances to create a concert experience like no other. Opening in London on October 12. 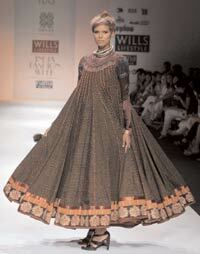 Watch the capital go stylish with the 20th edition of the Wills Lifestyle India Fashion Week. Showcasing the Spring/ Summer 2013 collections from designers, the event has been scheduled to run between October 6 and 10 at its usual venue, Pragati Maidan. Catch the action on the runway to keep up with the latest trends. The London Restaurant Festival will run this year between October 4 and 18. Special festival menus will be available at restaurants across the capital. In addition, highlights include an Eat Film concept where you watch a film and eat a complete meal inspired by it. Also catch a Jason Atherton Pop-Up and a food debate. One of the world's leading arts festivals and Australia's premier celebration of international art and culture, the Melbourne festival will be held this year between 10 and 27 October. Showcasing an unparalleled feast of theatre, dance, music, visual arts and film, the festival premieres the finest local, national and international events.